Nestled in majestic, wooded splendor, this ultra upgraded, custom ranch has been completely renovated since 2014. Gourmet's dream kitchen with custom cabinetry, island, and stainless steel appliances. Luxurious master wing has calming and scenic views of wooded lot and stream. Stunning master bathroom with his & her vanities, walk in shower, and centerpiece custom built-in soaking tub. Fully finished basement with additional two bedrooms and entertainment area. Over 1,800 square feet of storage space in basement. 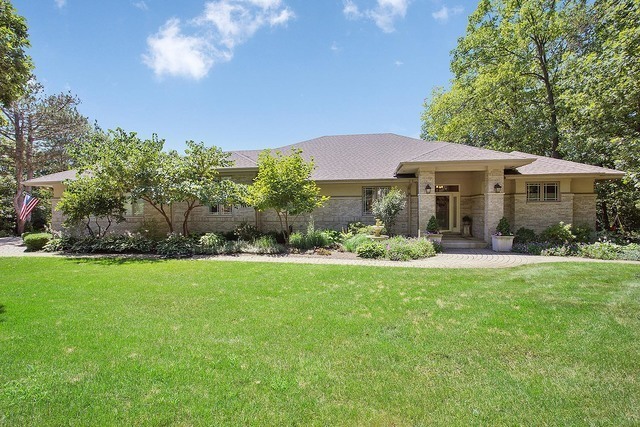 Backyard oasis includes covered paver patio, pergola, fire pit, and wooded garden with serene stream trickling through over 25 mature oak trees. Incredibly private backyard. Minutes from shopping, dining, Metra, expressway access, world renowned golf courses and Blue Ribbon award winning, Lemont High School. Shows like a model home. Schedule your appointment today. Full brochure available.